There are many people who, from time to time, write us on Twitter, Facebook, and Instagram asking us for a good tablet that can be used to read books. Our answer is always the same: if you want a tablet to read, the best thing is that you do not buy a tablet. In this article, we are going to present you three simple arguments by which a tablet is not the best device to read, although we already anticipate that they are screen, objective and price. Tablets are very versatile devices (and their price has been reduced considerably in recent years), but it is precisely their versatility that makes them not recommended for reading. Reading requires concentration, requires attention to what you are reading to keep the plot of the novel, the arguments of the essay, the characters… a tablet is a source of distractions that are best avoided. Do you want to read on digital media? Buy yourself an eBook reader/eReader. The main argument in favor of electronic books or eReaders is the screen. 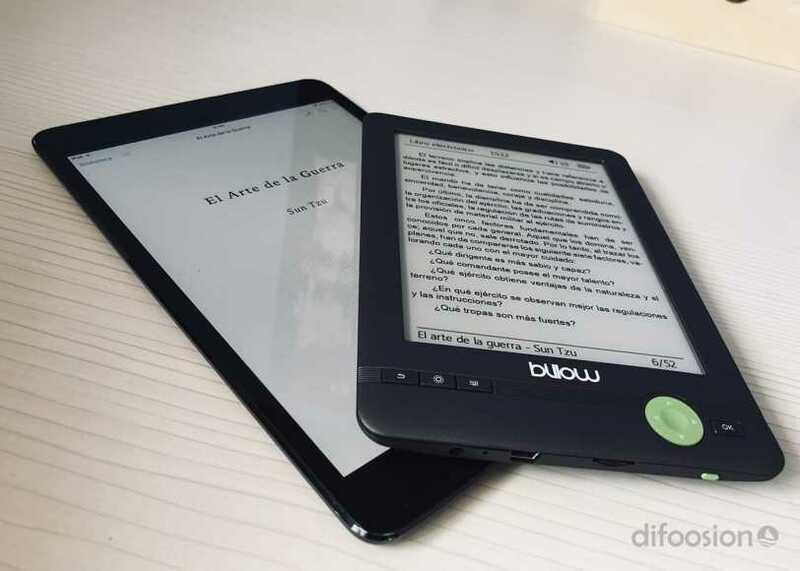 Whether it’s Kindle, Energy Sistem, BQ or Billow, all eReaders have an electronic ink screen. This screen can be seen perfectly in broad daylight, a situation in which the tablets falter, because they should raise the brightness to the maximum and you, as a reader, will have to fight with the sun to avoid reflections. In addition, the electronic ink screen is much more efficient than the IPS LCD or AMOLED of a tablet. Its consumption is negligible and the autonomy of the eReader is much greater. Depends on the use you make, of course, but where a tablet holds a day or two, an eReader reaches the month, month and a half – at least in my case. That, in the long run, is appreciated, because it is great to go to read a park knowing that you will not run out of battery. Finally, the electronic ink screen does not emit blue light. This light, produced by the screens of electronic devices, causes dry eyes and reduces the production of melatonin, the hormone responsible for regulating sleep. The screens of the eReader do not need backlighting to be seen, so the problem of the blue light disappears completely. It is true that you can not read in the dark *, although it will be enough to light a lamp. * Some eReaders, like the Amazon Kindle Paperwhite, come with built-in backlighting so you can read at night. If you read on a tablet you expose yourself to all kinds of distractions that will hinder the pleasant moment of reading: notifications of social networks, emails, games, and warnings of all kinds. Yes, you could remove the WiFi and get rid of the problem, but the temptation will always be there. In an eReader there are no distractions: the screen is not in color, the device does not vibrate, has no notifications, nothing. Text only. An eReader is, after all, like a book. It allows you to focus on reading, add markers, some allow you to emphasize… but little else. That lack of functions is what makes it ideal and preferable. When you read, read. And we come to the end with the main selling point: the price.A fairly decent tablet does not fall below 150 euros and does not demand much. The eReaders, save some exceptions, are in the range of 60-200 euros, having a range of products that you can choose according to your pocket. On a personal basis, I, who usually read at night, I have more than enough with a Billow of 70 euros, but someone who wants something more powerful can go for the Paperwhite Amazon, whose price is 129 euros. What I want to get is that for 150 euros you can buy one of the best eReaders there is or one of the most basic tablets. Put to spend, better spend on something that meets your goal, and that, if you’re just going to read, is synonymous with eReader. If you are a regular reader and want to 1) save space at home and 2) save money on books, dare to make the leap to electronic books. It seems not, but you’ll get used to it right away. And which one to buy? You will ask yourself. My personal recommendation is that, if you are starting and want something basic, buy the Amazon Kindle or, if you want something more powerful, the Kindle Paperwhite. The latter is more expensive but also has a better screen and integrated light. Both will be fine. Why the Kindle and not another brand? Well, mainly, for how easy it is to buy books on Amazon and pass them to the Kindle. With other brands – not all – you have to do a more complex process from the computer that is not worth it.